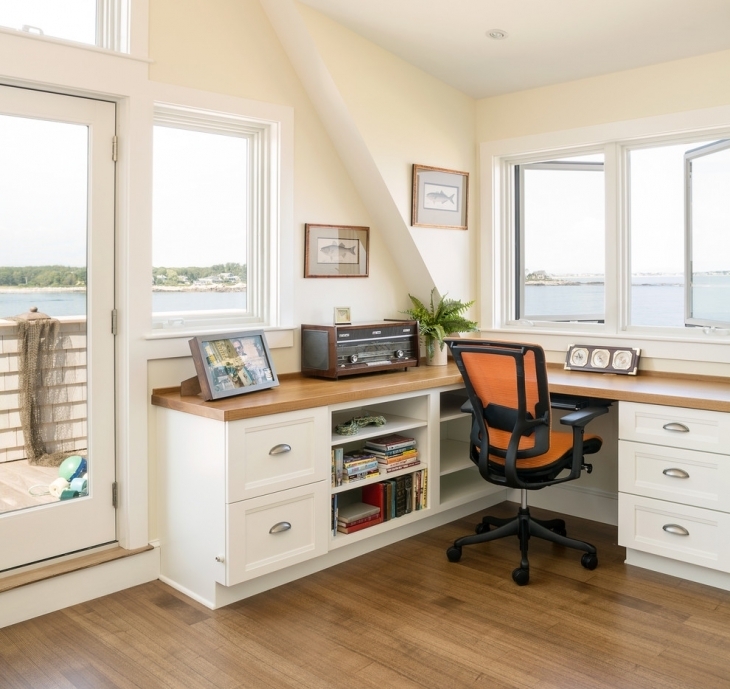 If you are craving to have a relaxed and airy work space in your house then coastal home office design is the perfect choice. 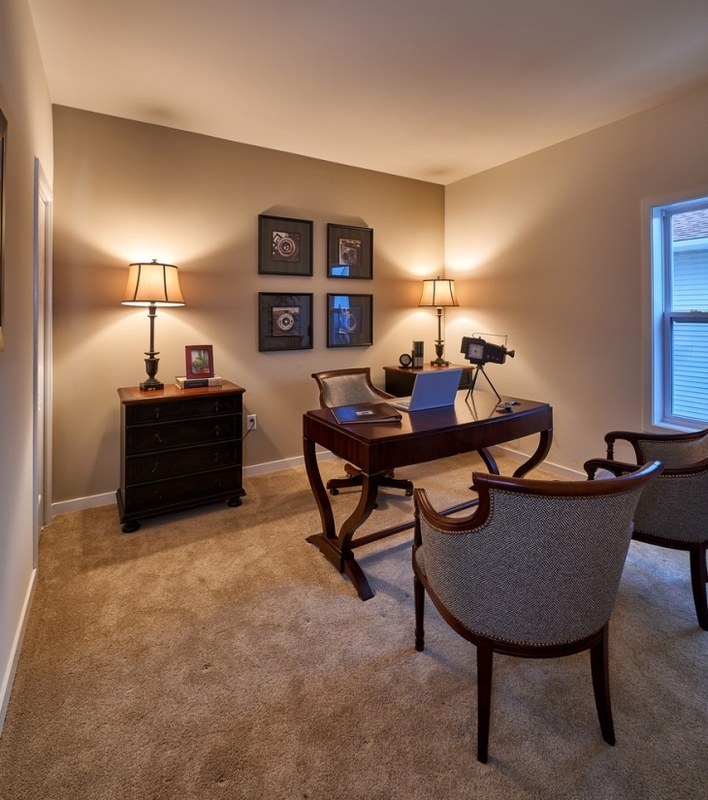 Coastal design renders a fresh and bright look to your dull and drab office area. 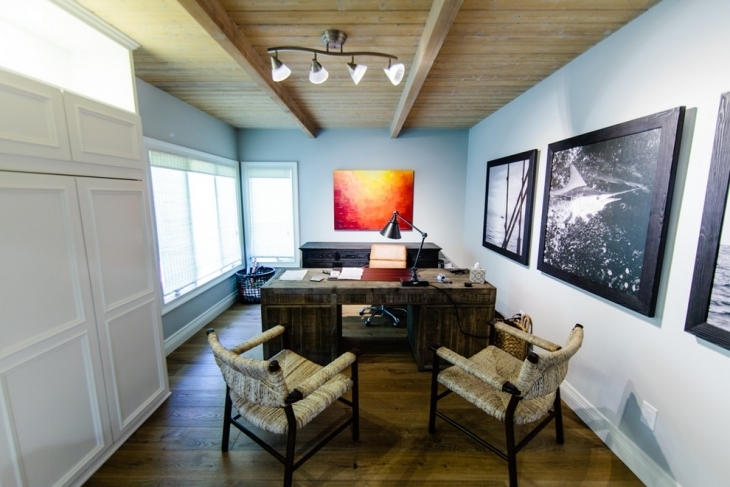 It can be a crowning design showcasing a natural and. 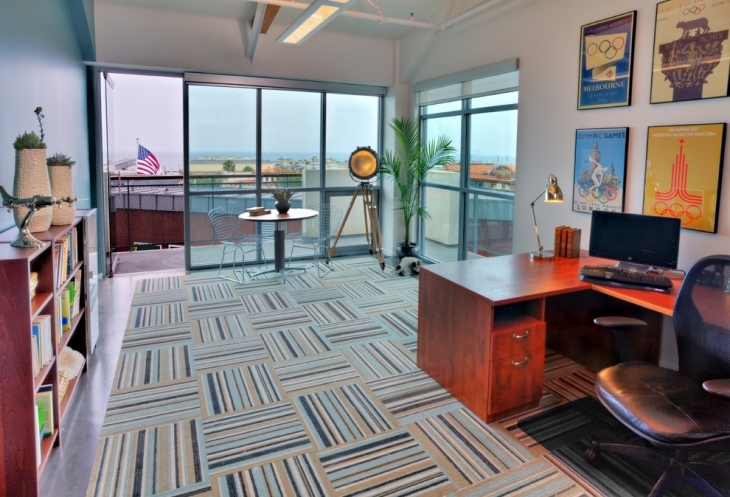 It brings in a beautiful and invigorating aura of life on the beach to your office space. 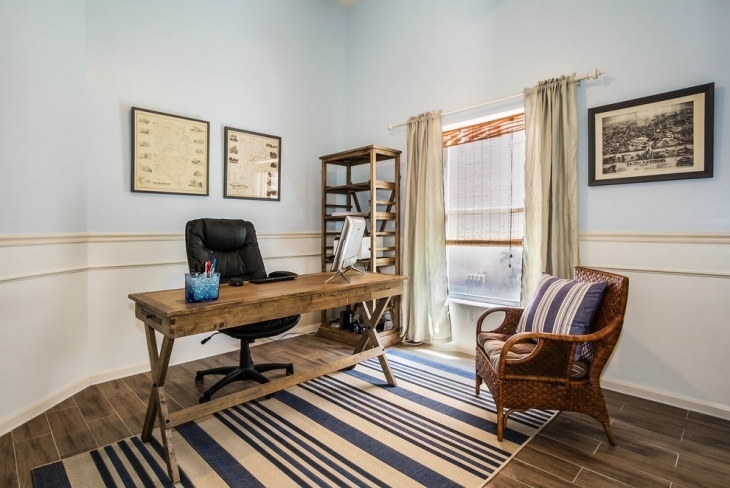 You don’t need to incorporate every minute beach related motif for a coastal style home office design. 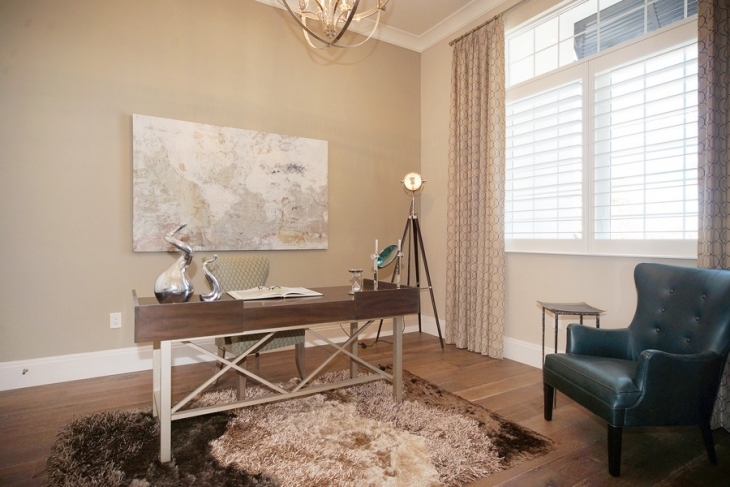 Choosing the right color palette, pattern and some accessories can create a beautiful coastal look. 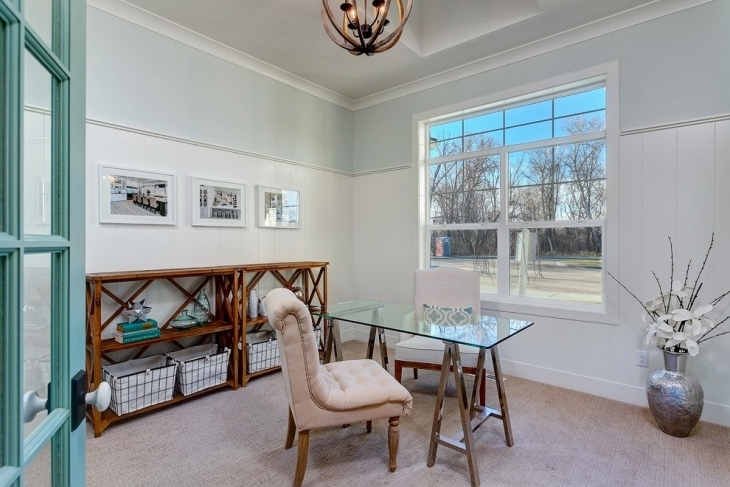 Refreshing light blues and turquoise are perfect shades that can enliven the space and create a soothing ambience to work. 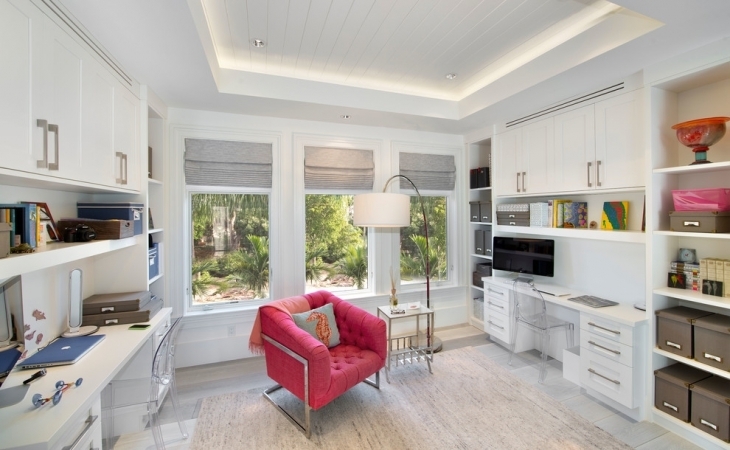 Light also plays an important role and huge glass doors and windows can help in abundant influx of natural light inside. 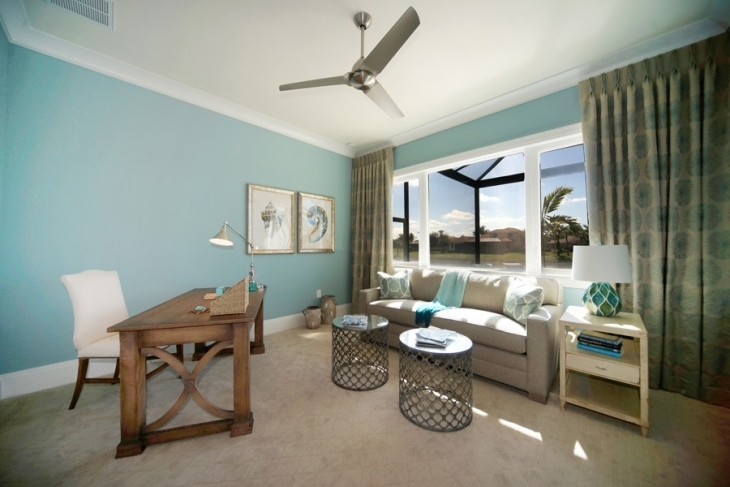 You can add various in house plants like, orchids, bamboo, ferns and snake plants for a breath of fresh air. 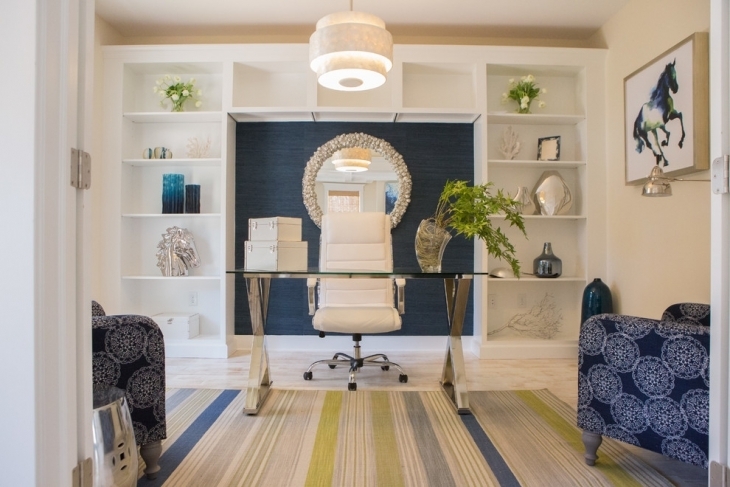 Coastal home office designs can be either modern with minimal decor or classic depending on a persons’ choice. 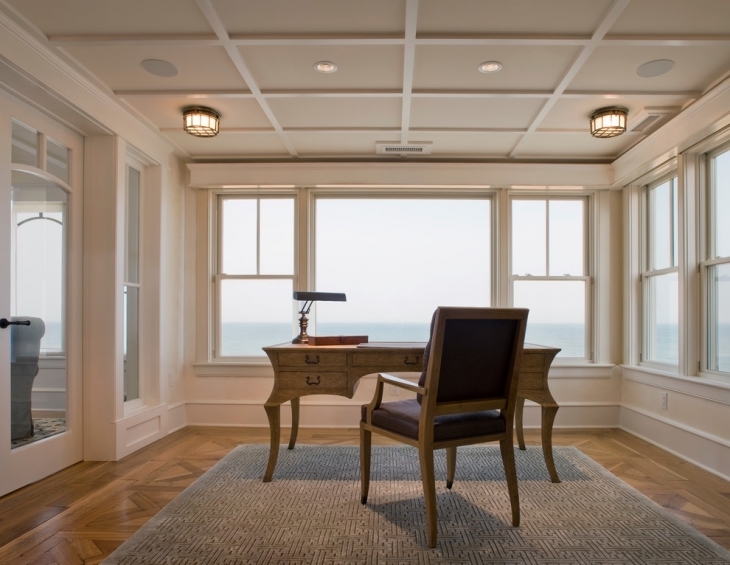 With so many upcoming coastal themes in the market, the core idea is to strike a beautiful balance between elegance and style. 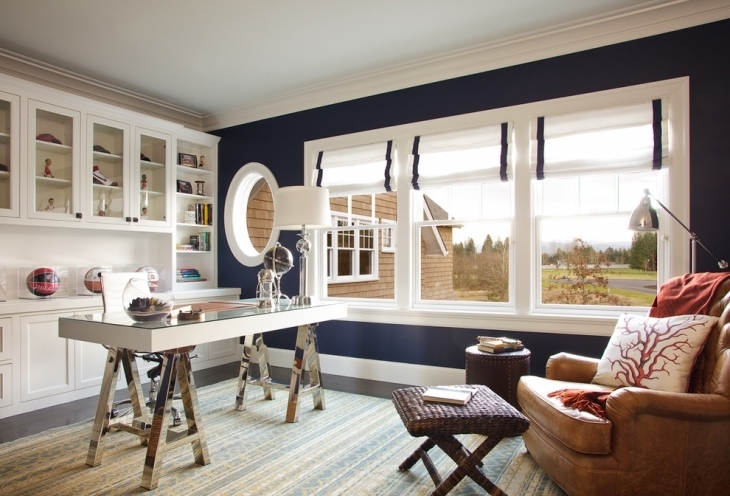 Have a glimpse at some of the strikingly attractive coastal home office designs.